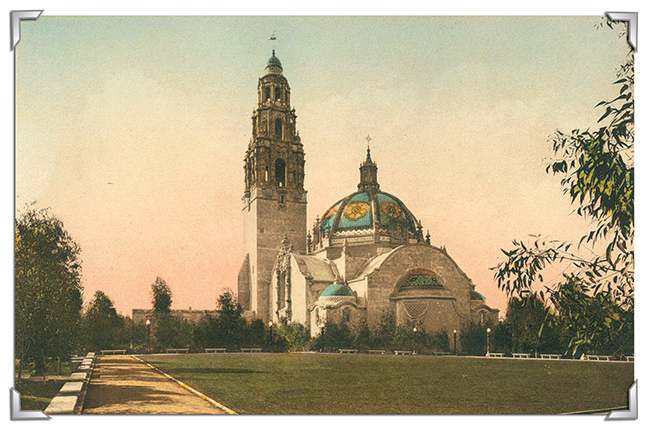 Without Coronado’s John Spreckels, there may never have been a Balboa Park. And without Balboa Park and the 1915 Exposition that ushered it into existence, there may never have been the strong Navy presence in San Diego that exists today. 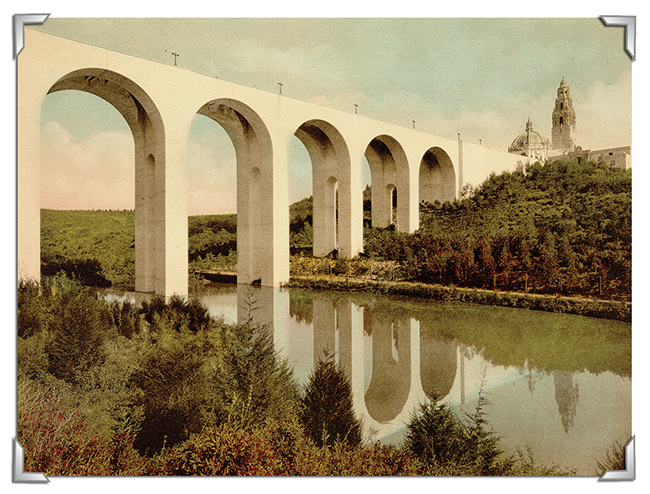 Just past the turn of the 20th century, San Diego was a small border town with high hopes of making a name for itself. 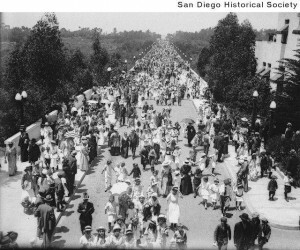 With the highly anticipated opening of the Panama Canal on the horizon, San Diego — home to a mere 40,000 residents -— made big plans to capitalize on its geographical position via a Worlds Fair-type exposition, which it named the 1915 Panama-California Exposition. No one in America was more aware of the canal’s potential impact on trade than John D. Spreckels, who owned the Hotel del Coronado and most of Coronado. His Oceanic Steamship Company shipping empire was another thriving enterprise, conducting mail and passenger service to Hawaii and Australia. One of the reasons Spreckels was lured to San Diego in the first place was the potential for a railroad that would link his shipping empire to U.S. shipping markets to the east. Alas, Spreckels’ “impossible railroad” — vestiges which still remain along the southern border of San Diego County — never took off, since railroad interests developed more affinity with Los Angeles instead. But the Panama Canal opening figured mightily into his planning process. Spreckels was a board member of the San Diego Chamber of Commerce in 1909 when the group’s “No. 1 priority was to put San Diego on the map through the Panama-California Exposition,” said Linder. 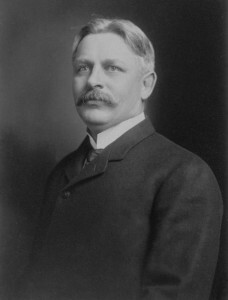 When the chamber voted in 1909 to form the Exposition, Spreckels was appointed first Vice President of the group, second in command behind Ulysses S. Grant, Jr., son of the former president who was set to open the U.S. Grant hotel in 1911. In early 1910, San Francisco tried to stake claim over a celebration of the opening of the Panama Canal and its delegates encouraged San Diego to abandon plans for its exposition. Spreckels, who had fled San Francisco just four years earlier after he and his family survived the devastating 1906 earthquake, was undaunted by San Francisco’s challenge. Rather than abandoning plans, he donated $100,000 to the San Diego exposition’s building fund. 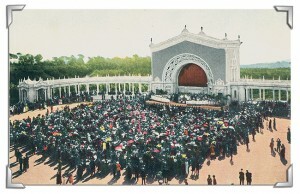 Others were encouraged by this donation and soon after the city had raised $1 million to see the exposition come to fruition. 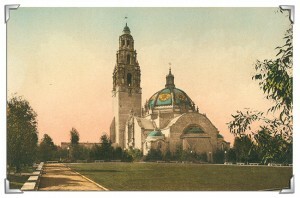 San Diego voters repeatedly supported bonds that funded the exposition and elaborate plans were underway. “Spreckels’ dedication and donations set the wheels in motion and kept them going, full speed ahead,” Linder said. At the stroke of midnight on Dec. 31, 1914, President Woodrow Wilson touched a Western Union telegraph key in Washington, D.C., sparking the exposition’s electric power. A special balloon lofted 1,500 feet above the Plaza de Panama and lit up a three-mile radius around the park. Bonfires simultaneously ignited on San Diego hilltops near and far, and cheers erupted from the nearly 43,000 attendees. Earlier that evening, along with his brother Adolf, Spreckels had donated and dedicated the Spreckels Organ Pavilion. Atop the enormous organ, an elaborate fireworks display commemorated the event. Franklin Delano Roosevelt, then assistant secretary of the Navy, attended the exposition twice (and stayed at the Hotel Del, “A favorite of his,” said Linder). He’d been charged with seeking new land for Naval expansion, and, though it wasn’t until 1917 that North Island was developed fully as a naval air station, it was during Roosevelt’s visits that Spreckels and other city leaders laid the groundwork for convincing him that San Diego would be an ideal area to base the Navy’s West Coast operations. The 2014 and 2015 December Nights events (Dec. 5 and 6 this year) will bookend the centennial as the opening and closing ceremonies. Botanical Building renovation: A $3 million fundraising campaign is underway to restore the building to its original 1915 splendor. WiFi throughout the park: Balboa Park will have one of the largest free public WiFi networks on the West Coast. It’s expected to go live in January. New Balboa Park documentary: A 30-minute film on the history of Balboa Park will debut in December. Reopening of the California Tower: Closed to the public for 80 years, the doors to the tower are scheduled to reopen to park guests in January after three years of renovation. The tower provides a breathtaking, 360-degree view of San Diego. Coast-to-Cactus exhibit: A $9 million, 9,000-square-foot permanent exhibit will take visitors through varied habitats of Southern California. Opens in January. Art restoration: Sculptures, murals and basins throughout the park are receiving conservation treatment through funding provided by the Balboa Park Arts and Culture Commission. Garden party for the century: A signature event will highlight Balboa Park’s gardens and horticultural history with a floral show, garden tours, expert consultations, demonstrations and entertainment. The celebration will begin April 24 (Arbor Day) and highlight gardens on the west and east mesas each weekend until May 9. Centennial Concert: This once-in-a-lifetime New Year’s Eve event will celebrate the 100th anniversary of the concert that dedicated the Spreckels Organ and launched the 1915 Panama-California Exposition. It will begin with a grand processional march down El Prado led by bagpipers before musicians and singers perform at the organ pavilion. Dec. 31, 2014, from 7 to 9:30 p.m.